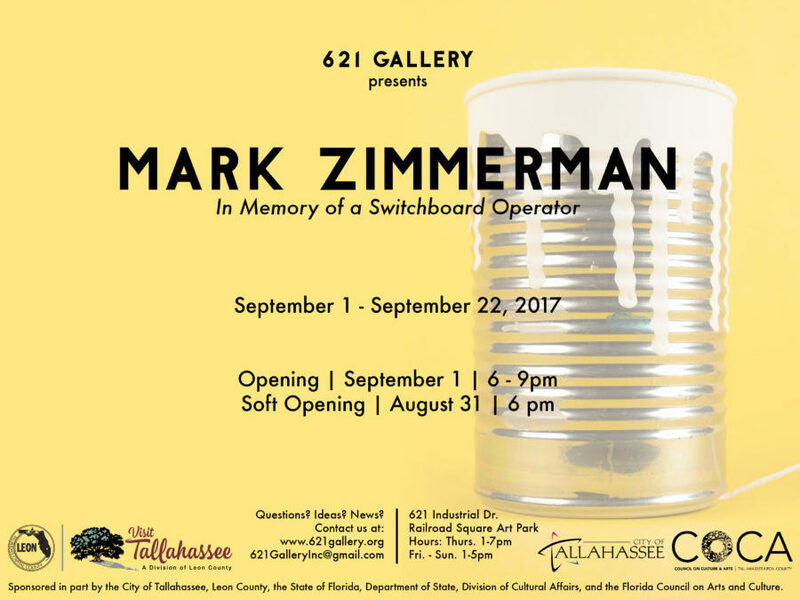 621 Gallery will host an opening reception for Mark S. Zimmerman’s “In Memory of a Switchboard Operator” on September 1st, 2017 from 6p-9p. There will be a soft opening on August 31st at 6:30p. Sentimentality has become a lost ideal. The significance of a secular object, something ephemeral, simply existing in the moment, can contain similar emotions, which are attached to something sacred. Clara Armour was one of the first African-American switchboard operators. Her story is fascinating, and this work exists in her memory. An object, action, or even a sound, and definitely a scent can trigger a memory. Whether that memory is positive or negative, simply having a memory is a good thing. When that is gone, what do we have? It is important to remember the good times, and the bad times. The good times are like little weightless trophies, while the bad times teach us a valuable lesson. Remaining optimistic in the face of failure, that gives us character. To smile, have a laugh, tell a story, new memories can be made. These stories can evolve as the story of Clara Armour grows. At no point should we stop remembering, our stories can only evolve if we have someone to talk to.